Notre condo est joliment décoré dans l'authentique mexicain. A partir du moment où vous entrez, vous vous sentirez détendu! Les deux chambres ont des lits Tempur Pedic et chaque salle de bains a des bonnets de douche. Le condo a une cuisine complète et salle à manger. Le patio est très grand et comprend un canapé en coupe, un bar et un jacuzzi privé. Le Bayview Suites est situé dans le complexe Cabo Villas Beach Resort sur la plage de Medano. Bayview Suites est situé au coeur de Cabo. Medano Beach est la seule plage baignable de Cabo et propose de nombreuses activités nautiques et plusieurs restaurants à proximité. Une promenade de 5 minutes vous amènera à la marina, aux restaurants ou au centre commercial Puerto Parasio. Un peu plus loin se trouve la célèbre vie nocturne de Cabo. Envie de sortir des sentiers battus, essayez l’un des nombreux restaurants des quartiers populaires. Notre unité Bayview Suite dispose d'un service de ménage quotidien - laissez la vaisselle, un lave-linge / sèche-linge, des draps et des serviettes propres tous les jours, un parking souterrain, un service de conciergerie, un service de sécurité 24h / 24. Laissez le service de conciergerie faire vos réservations pour le dîner, les visites touristiques ou d’autres activités. ME CONTACTER POUR UNE BROCHURE. We loved being at Cabo Beach Villas. Jay's place is beautiful and has everything you need to enjoy your vacation! We loved the location walking right down to the beach and going for runs along the marina in the mornings. Our family loved it! We plan to book again for next year! Our room was beautiful, well stocked and clean. Perfect for a week or an extended stay. We have stayed at Cabo Villas many times, but this was our first time staying in the Bayview building. The trees obstructed our view a bit as we were on the first floor, but we weren’t in our room long enough to care. We could see the Sea of Cortes and the beach was just a walk down the stairs. Jay, the owner was very quick to reply and the booking and contract process went smoothly. The staff at Cabo Villas is amazing! They are so helpful and friendly and become like family by the time you leave. 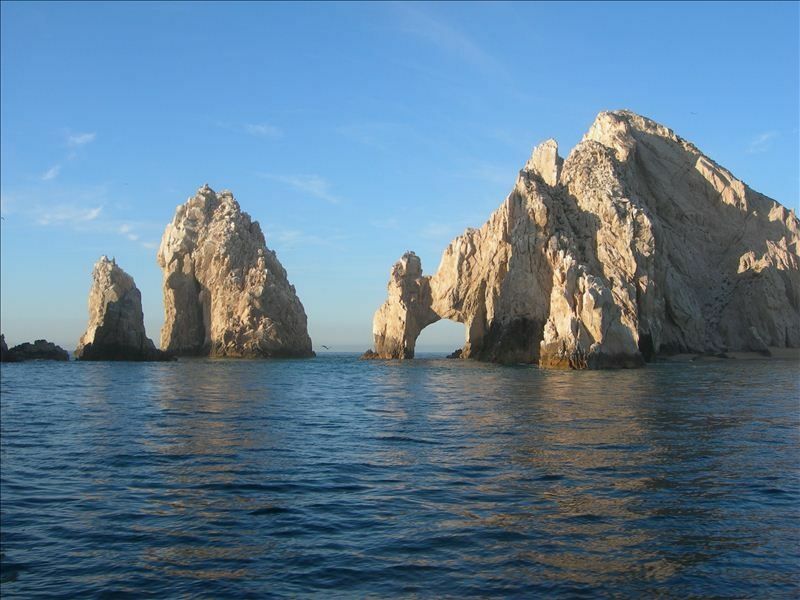 If you’ve never been to Cabo this is a safe, inviting and clean place to come. We will be back many times more in the future. Adios to another great visit! I like to start with the positives. The unit is accurately displayed in the pictures and descriptions. It is clean and very nice and spacious and well stocked as well. The area is great - lots to do with a great beach. We liked our stay a lot. Though there are two areas of concern for some. First, the building and area are not handicap accessible at all - there are lots of steps and hills all over - so be warned. Second, there is construction going on right next to the unit - it didn't bother us though. Wonderful stay over New Years week. Cleanliness and comfort of the condo was a plus for our group of six. Coffee in the hot tub each morning watching the sunrise and fishing boats going out was a treat. We enjoy sitting out so the large patio with couch was in constant use each morning and evening. Jay, the owner is quick to respond and even called me days before to answer some of my questions. Location can't be beat. At least twelve restaurants within one block to walk to for dinner. Not a good choice if you have mobility issues. Many stairs from the beach to the unit. It it 400 steps including stairs from the beach back to the unit. I enjoyed getting the heart rate up after sitting at the beach. We utilized the beach each day. The pool is small and shady. Great for the little ones. During busy times best to reserve your spot in advance with the attendant. Great service and food. If you enjoy people watching and all the beach action then this is the place. Not a fan of saving chairs in the morning with a towel so reserving the day before was ideal. Mitchel, the attendant, had an I pad with each chair and couch assigned a name. Construction was never an issue for us even with all the extra stairs added. When finished, this unit will have an excellent location very near and overlooking the new pool. We rented this suite and the room was spacious with a full kitchen/washer/dryer and that was very convenient. I have stayed at Cabo Villas for many years (no longer Cabo Villas but now Cache Beach Club) and for the first time I was very disappointed. When we entered the room it lacked cleanliness. (Not any fault of the owner) There was dried liquid running down the kitchen cabinets, the hot tub was empty and torn apart when we arrive and the patio glass table and doors had not been washed. There was also a towel thrown over the balcony that landed on the roof just below that hadn't been picked up as well as a used Q-tip laying on the ground. 😞 We did get the hot tub filled and fixed but couldn't use it the first night. It had rained one night when we were there and the entire roof above the patio leaked all over the patio furniture and continued to drip on us for a day or so. Had we known they were under MAJOR construction and that our room was set away from the main resort I wouldn't have rented this room. We had to walk up the street and into a makeshift side ramp in order to get to and from the room. We didn't have direct access to the main hotel which was very inconvenient since we were traveling with 5 other people that were close to the pool. We shouldn't have had to pay for the full price of this room just because of this issue alone! It was horrible. Make sure the construction is done before you book this room and that you have access to the main part of the hotel easily. The view was partial. This unit sits right above Edith's and the trees have grown quite a bit and block part of the bay view. I had to raise my camera up high to get a picture. The Condo was super nice! Great place, great view, perfect location, and we absolutely love the Resort. The workers are so pleasant and respectful. The Spa was awesome as well! Thank you! Observation des baleines, des Parcs, Line Zip, VTT, dégustation Tequila, Parachutisme, Helicopter Tours, Croisières. Si vous êtes à la recherche d'un terrain essayer Club Campestre ou Cabo Real, deux cours donnent sur l'océan et le désert trous!